Marion (Buschmann) True, 85, of Westborough, passed away peacefully on Tuesday, September 11, 2018, at the Beaumont Rehabilitation and Skilled Nursing Center in Westborough. She is the wife of 62 years to Robert C. True, Jr.
Born in Cambridge, she was a daughter of the late August and Catharine (Sears) Buschmann and beloved stepdaughter of the late Elizabeth (Sue King) Buschmann. She was raised and educated in Lewiston, Maine and was a graduate of Lewiston High School and Bates College. In addition to her husband, she is survived by five children, Sharon True and husband Adrian Alcala, of Great Barrington, Laury J. True and partner Paul McCormick, of Chesney SC, Tracy L. Truzansky and partner Beth Truzansky, of Burlington, VT., Stephanie T. Peters and husband Dan Peters, of Mansfield, and son, Robert C. True, III. and wife Nancy, of Mansfield and ten grandchildren, Tavo and Tamsin True-Alcala, Brendan and Eric Hale, Jackson and Chloe Peters, Alison and Colin True, April and Faith Truzansky. She is also survived by one sister, Elizabeth B. Smith and husband Bob, and four brothers, Edmund A. Buschmann and wife Louise, Waldemar G. Buschmann and wife Cindy, John Christian (Chris) Buschmann and wife Lois, and Friedrich K. Buschmann and wife Marg, all of Maine, and many nieces and nephews. She is predeceased by her sister Caroline Barnes. Prior to moving to Westborough in 1967, her family lived in Cambridge, Cleveland and Dayton, Ohio, and Buffalo and Manlius, NY. Following graduation from college, she was employed at the Harvard Business School. Later employment included Program Coordinator and Senior Advisor at the Westborough YWCA, where she also planned day trips for the Westborough Council on Aging; Executive Director of the Westborough United Fund, and from 1987 to 2001, Resident Services/Activities Coordinator at The Willows Retirement Community, where her responsibilities included coordination of the popular Wednesday Summer Concert series held in the Rose Garden courtyard, the initial organization of many committees and activities for Willows residents, and the very popular Willows annual spring yard sale. She is a member of the Congregational Church of Westborough (United Church of Christ), and was a long-time member of its Chancel Choir. She is a member and past president of The Westborough Players’ Club, a member of the Westborough Historical Society, the Westborough Food Pantry, the Westborough Land Trust, the Westborough Women’s Club, and a former member of the Westborough Community Chorus. She served as member and chairperson of the Westborough Cultural Council. She volunteered at the Tower Hill Botanical Gardens. 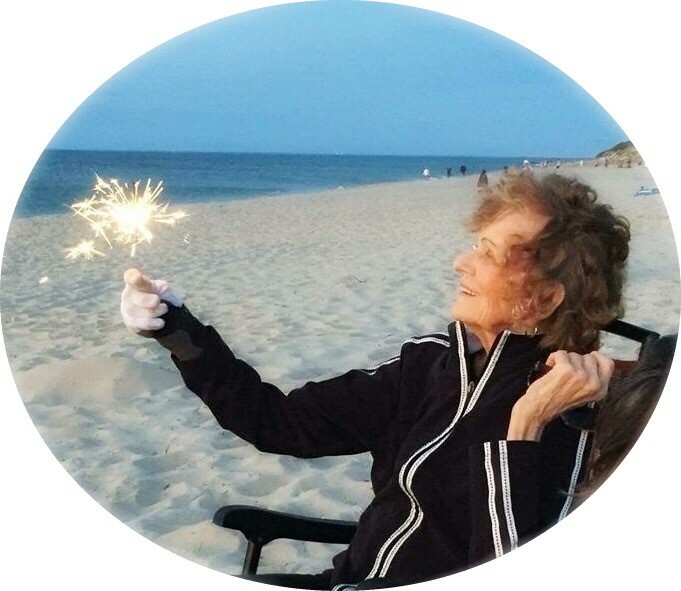 An enthusiastic tennis player, cross-country skier, gardener, and renovator of the family owned Hedge Trust property on Cape Cod; she took particular joy in her children, grandchildren and extended family reunions with brothers and sisters. Other hobbies included reading, sewing, people – and wiping! She was a lifelong vacationing summer resident of East Dennis, Cape Cod, MA. Her memorial service will be held at 1:00 P.M. on Saturday, September 15, in the Congregational Church of Westborough, 57 West Main Street. Arrangements are under the direction of the Pickering & Son Westborough Funeral Home. There are no calling hours. Burial will be privately at the convenience of the family. In lieu of flowers, donations in her memory may be made to the American Cancer Society.